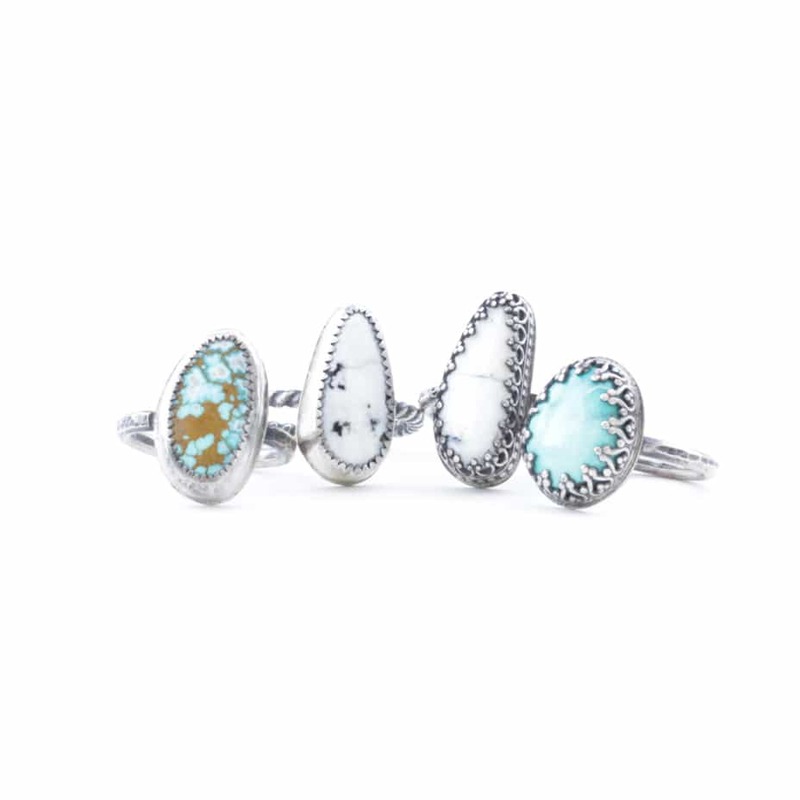 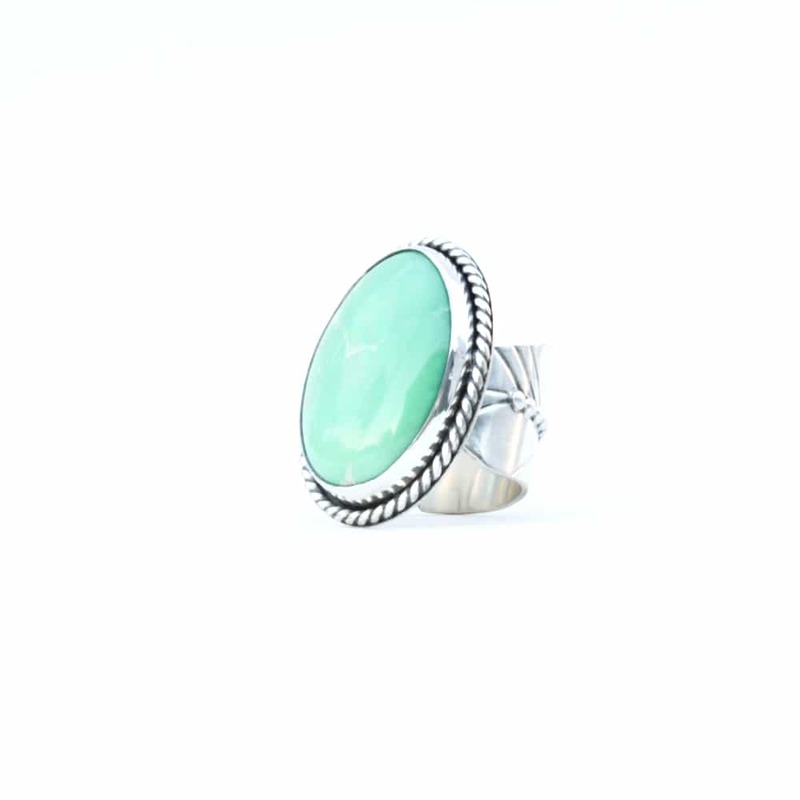 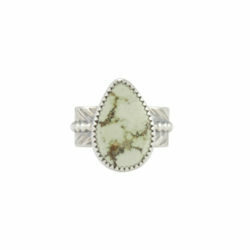 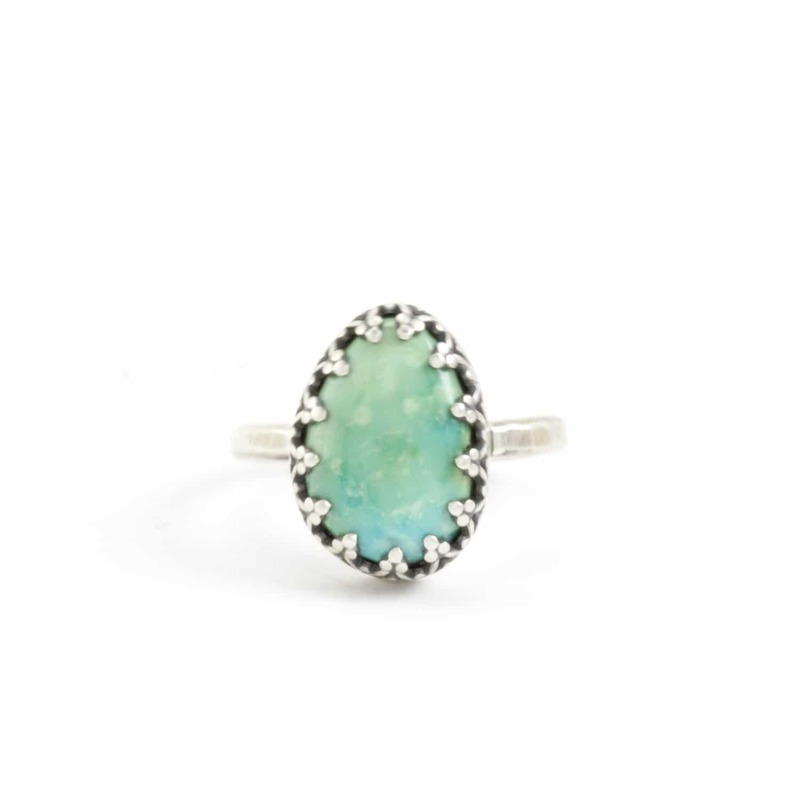 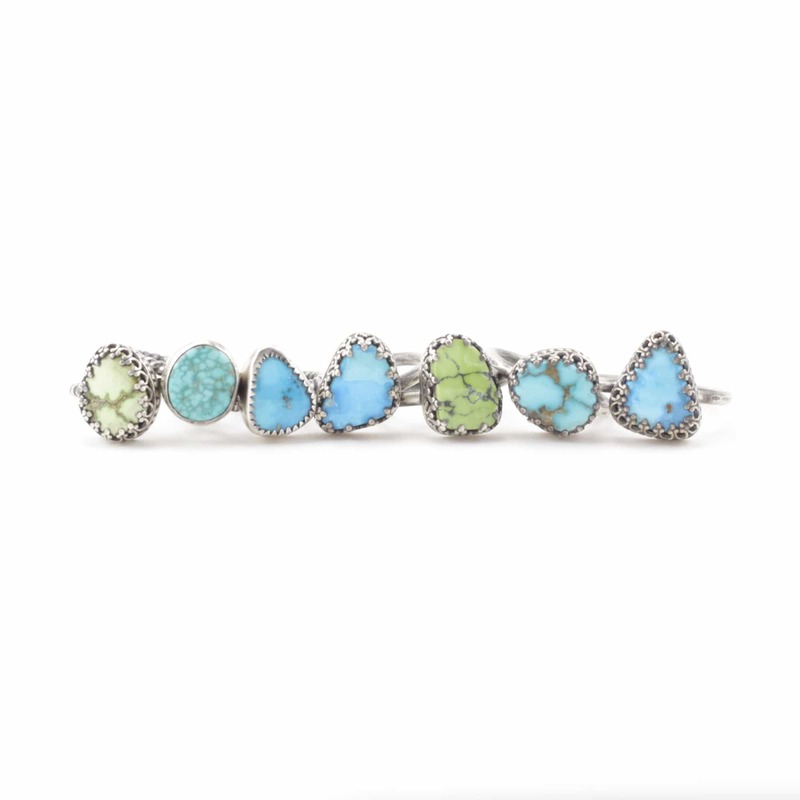 Sterling silver hammered round wire shanks are paired with a 100% natural, un-dyed domestic Turquoise cabochon. 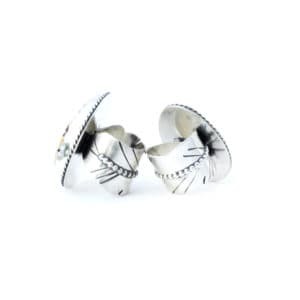 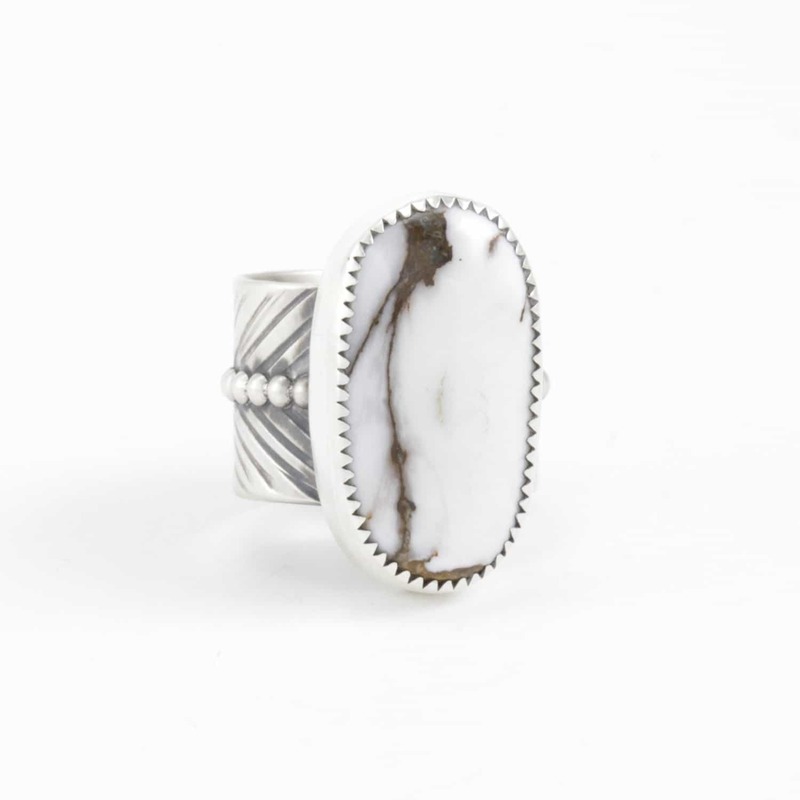 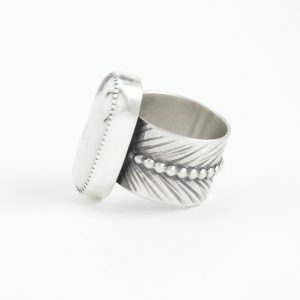 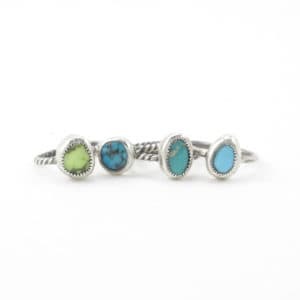 Great for stacking with your other rings or gorgeous by itself. 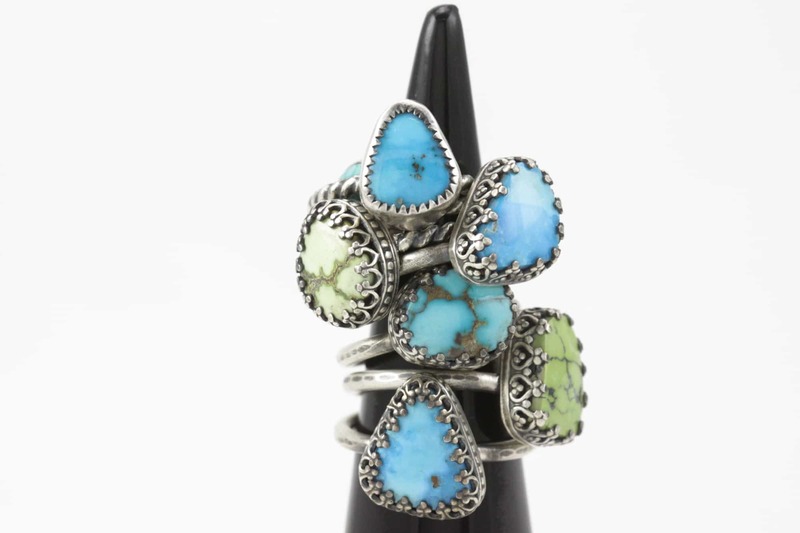 These stones are slightly larger than the Small Willow ring.